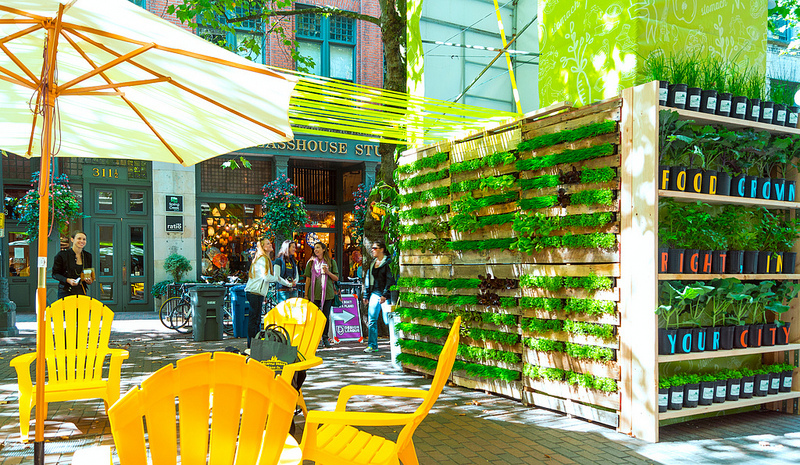 For the 2013 Seattle Design Festival, Seattle Urban Farm Company created an edible living wall as part of the Festival’s culminating event in Pioneer Square: Design Block. The Design Block featured large scale installations investigating design’s impact on active lifestyles and healthy communities via four towers: Mind, Heart, Body, and Stomach. For the “Stomach” or nutritional health tower, we created a vertical garden using organic vegetables, herbs, and flowers grown at our farm. 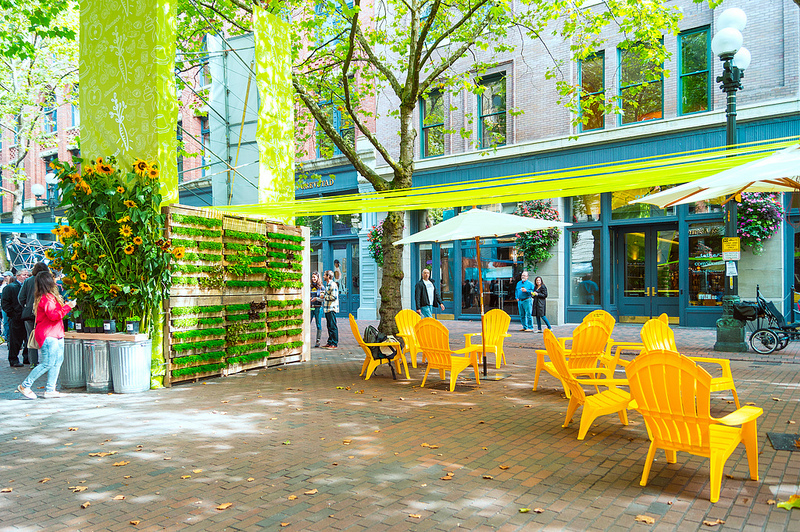 For the 2013 Seattle Design Festival, Seattle Urban Farm Company created an edible living wall as part of the Festival’s culminating event in Pioneer Square: Design Block. 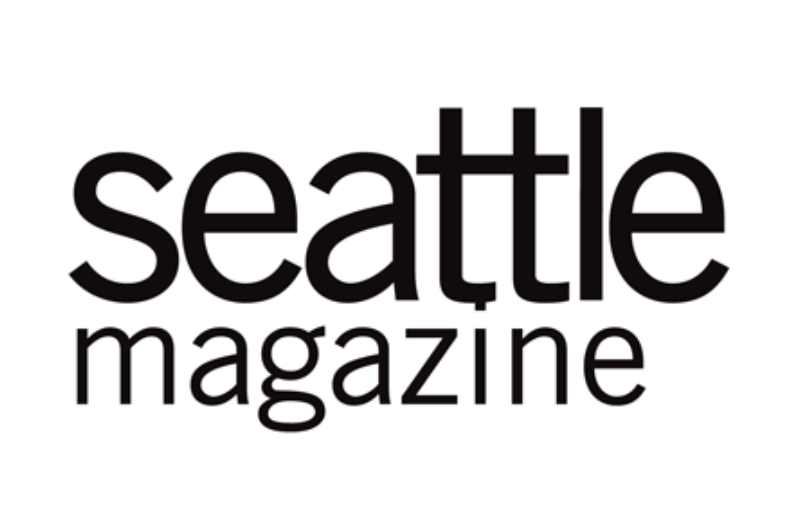 The Festival’s theme–Design in Health–sought to explore the connection between environmental design and our physical, mental and social well-being. The Design Block featured large scale installations investigating design’s impact on active lifestyles and healthy communities via four towers: Mind, Heart, Body, and Stomach. For the “Stomach” or nutritional health tower, we created a vertical garden using organic vegetables, herbs, and flowers grown at our farm. The main north and south walls were constructed of pallets which held a variety of micro greens (arugula, cress, and wheatgrass) and head lettuce. The west end of the tower featured 10’ tall sunflowers from our farm. The east end of the tower showcased a living grocery store shelf, with live pots of chives, kale, parsley, lovage, broccoli, and micro mustard greens. The graphics on the pots appropriated the title of our book “Food Grown Right In Your Backyard” to spell out “Food Grown Right In Your City,” tying our slogan to that of the mission of the Seattle Design Festival: to promote more public dialog about the role and impact of design on urban life.